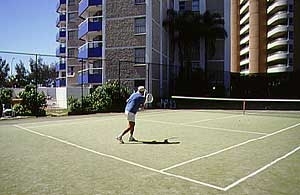 Grosvenor Beachfront Apartments consist of one and two bedroom apartments which are fully self contained. They offer a friendly family atmosphere. The spacious apartments all have balconies facing the Pacific Ocean and are only a stroll over the road to the Golden Beaches. 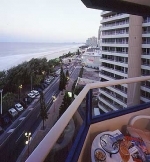 They are walking distance to Cavill Mall, and the numerous choices of restaurants and shops around town. All tours can be booked at reception. No hens, bucks, 21st & 18th parties accepted. No Schoolies accepted.